-8 mini moon patterns with a few angels, a nativity, and a shepherd. These will give you enough ornaments to fill your tree and give some to your family and friends. If you LOVE Volker’s Moon Ornaments, then this is the collection for you. This collection contains over 50 unique moon pattern designs. These are sure to bring a special German touch to your Christmas Tree over many years to come. It truly is a treasured tradition in our home to load up the tree with these Volker ornaments. 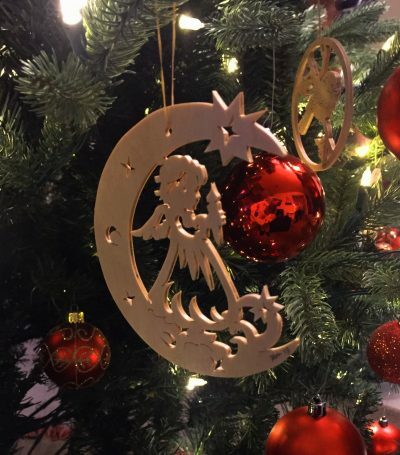 About 1/2 of these ornaments can be found in the 100+ collection, so if you are wanting to try out a great variety of pyramids, lichterbogens, and other great Volker patterns, I would try to persuade you in that direction, but for those of you who have expressed interest in just his moon patterns, here you go!